This website is dedicated to the Michelin Plant on Ford Avenue, the Evans Family, Dr Forney and his sons, who they have given so much to the town of Milltown and for playing an important role in forming the town we love and respect. Also dedication goes to the remaining historical sites that are remaining that we hold dear to our heart, also to the ones that we have lost to the senseless disregard of our town history and to what makes this town so special, the residents that live and work here. We need to stop the senseless destruction of our historical landmarks and Milltown's history now before its to late and is lost forever. Be sure to check out these other Great sites about Milltown History and News. 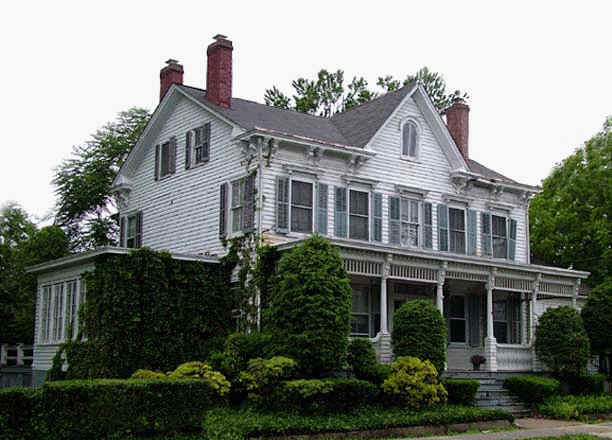 The Forney House and Clinic, located at 94 Main Street was originally known as the John Evans House, built in the 1860’s. Evans was the superintendent of the Ford Meyer Rubber Company of Milltown, which later became the first American site of the Michelin Rubber Company. The son of Evans, John C. Evans, was the first Mayor of Milltown. In 1907 about 101 years ago Dr. Forney came with his horse and buggy into this town, and he put up his medical shingle. He wanted to practice medicine in this town; He really cared about Milltown and its residents. During an epidemic, he paid someone to keep his Model-T Ford cranked and ready to go for 48 hours so he would be ready to go administer care to residents when needed. He was later joined by his sons Norman Jr. and Charles who practiced with him. They owned and operated the clinic in this building and its one story, gable end addition until 1980. Dr. Norman C. Forney Sr. was also the town’s first surgeon. The Forney House is now gone forever and Milltown residents has lost an important piece of history. What is now going to replace the Forney House is a bank branch owned by Valley National Bank. 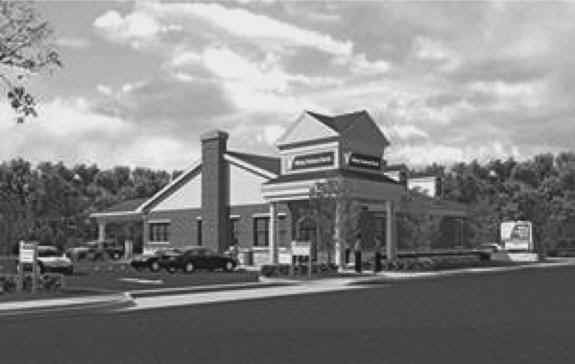 Valley National Bank has felt that it was important enough to them to demolish an important part of Milltown's history and construct a bank branch directly across from another bank (Provident Bank) on Main Street only not listen to the concerns of many Milltown residents. But they contend that they are a community bank that listens to the residents. Below you will find a picture of the bank that will replace the Forney House. Valley National claims to have the wishes of Milltown residents at heart with designing a bank branch that will blend with the historical look of the town.